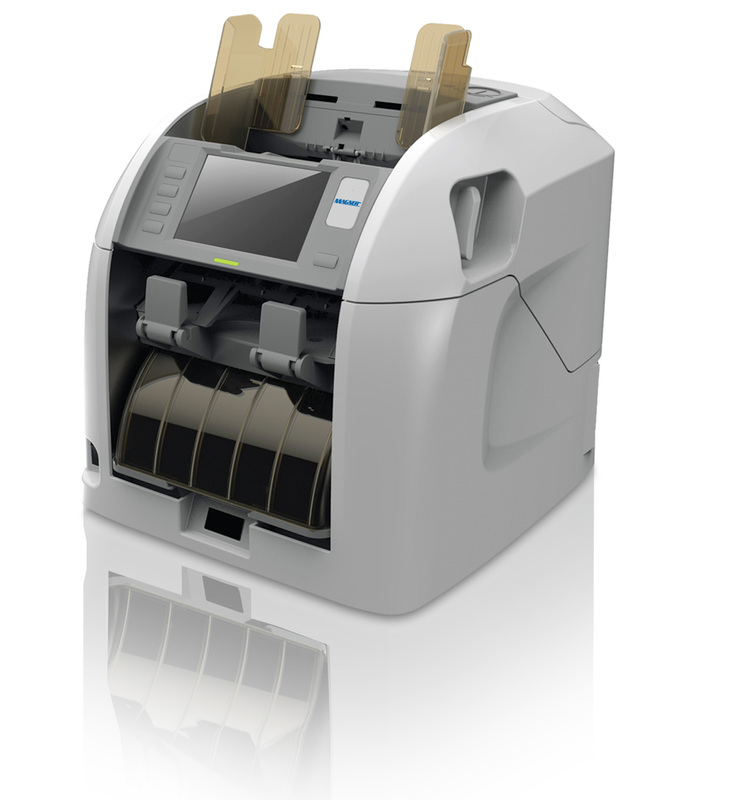 The NEW Magner S1500C is a 1.5 pocket currency sorter. This machine has two full-color CIS sensors, serial number comparison and matching. The Magner S1500C can hold up to 7 currencies, and with an efficient modular design the machine can be updated remotely. This machine one of our most user-friendly and convenient machines.